On 8 May 2013, Boeing 747-830 c/n 37833 l/n 1475 D-ABYI flew first. On 29 May 2013, the Boeing 747-830 D-ABYI "Postdam" was delivered to Lufthansa. 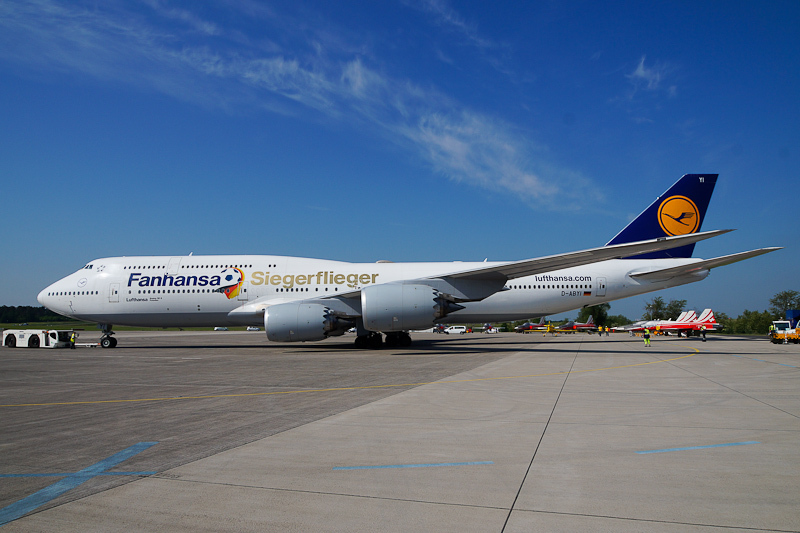 In May 2014, the airliner was painted in special "Fanhansa Siegerflieger" colours. On 4 June 2016, Boeing 747-830 D-ABYI "Fanhansa Siegerflieger" was seen during the ILA Berlin Air Show 2016 at Berlin-Brandenburg / Willy Brandt International Airport when parking in the right place.